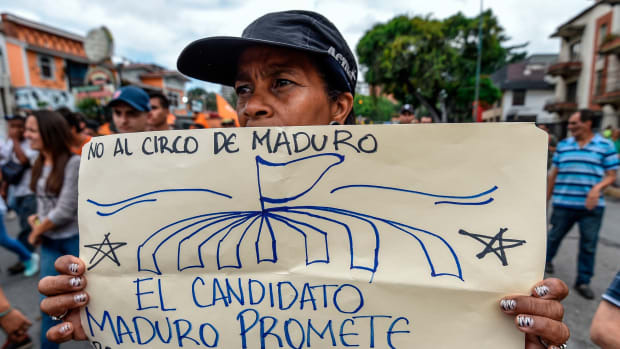 "No to the Maduro circus. The candidate Maduro promises to solve the problems that the President Maduro could not." 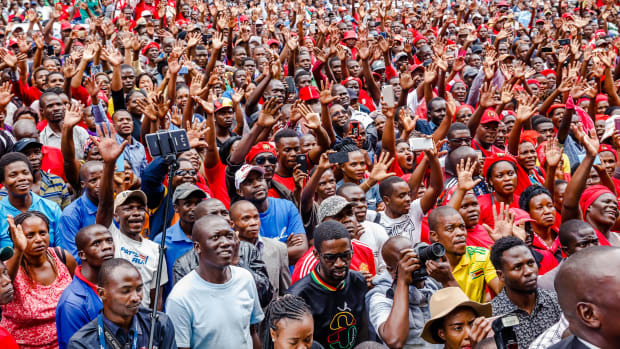 Supporters of the Zimbabwe opposition party, the Movement for Democratic Change, listen and cheer as the party's acting president addresses the crowd gathered outside the party headquarters in Harare, Zimbabwe.